Two of Blackpool's best known personalities have been awarded the Freedom of the Borough. 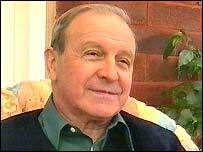 Former England footballer Jimmy Armfield and Pleasure Beach chairman Doris Thompson have both been honoured for their achievements. Mr Armfield has lived in the resort since joining Blackpool Football Club in 1952 and went on to captain the side and then the England team. 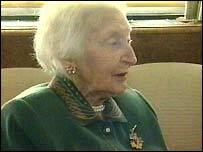 Mrs Thompson, who is chairman of the Pleasure Beach and recently celebrated her 100th birthday, is the first woman to win the accolade. Now aged 67, Mr Armfield said he was told about the honour in a phone call from Blackpool mayor, Councillor Ivan Taylor. He told BBC Radio Lancashire: "If you get a national honour, such as the OBE, it's a fantastic achievement. "But it's something special to be honoured by the people living around you, because they're the ones that really judge you." Mrs Thompson, who celebrated her birthday with a ride on a rollercoaster, has been honoured for her contribution to the resort's tourism industry. Just before her birthday, her son Geoffrey said: "She still has strong views on the sort of shows and entertainment we have here, that it should be family-based."